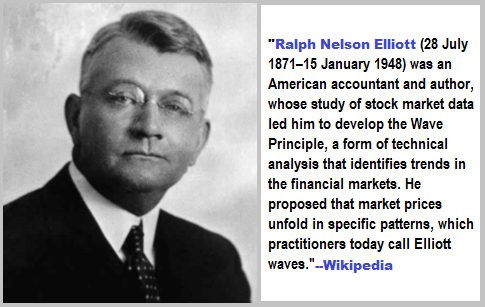 Ralph Nelson Elliott, a very well known personality to the financial market participants, proposed a key theory that explains the behavior of financial market, and helps the traders to forecast the financial market. He published a series of articles in the Financial World Magazine which established his theory. After a wide range of research, his theory is now a great tool of financial market forecasting and trading. This post explains the basics to Elliott's Wave Principle. The core knowledge that every traders should have about financial market behavior, according to the Elliott's wave theory, is explained by this post. In the financial market, there are two modes of wave development, motive/impulsive and corrective. A motive mode of wave development has five waves and a corrective mode of wave development has three waves. Motive or impulsive five waves are towards the trend, and the corrective three waves are against the trend. 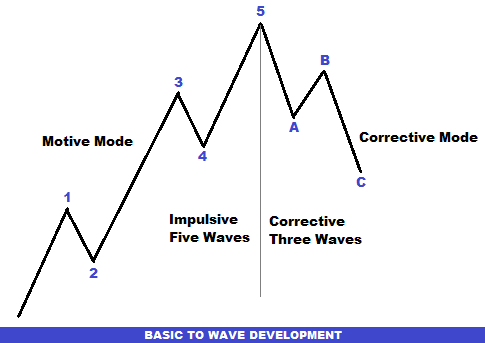 The very core suggestion by Elliott Wave Theory is that the five impulsive waves formation follows the three corrective wave as shown in the above illustration. This is the very basic learning for the traders about Elliott Wave Theory. Generally, the impulsive waves are leveled with numbers and the corrective waves are leveled with letters. Elliott Wave analysis is not that simple as explained earlier, it is very difficult when the waves of smaller degrees lie within the waves of larger degrees. Have a look at the above image very carefully. We can see the five impulsive waves can lie within a single impulsive wave, and five impulsive waves and three corrective waves can lie within two impulsive waves. Even five impulsive waves of smaller degree can lie within a single corrective wave of larger degree. 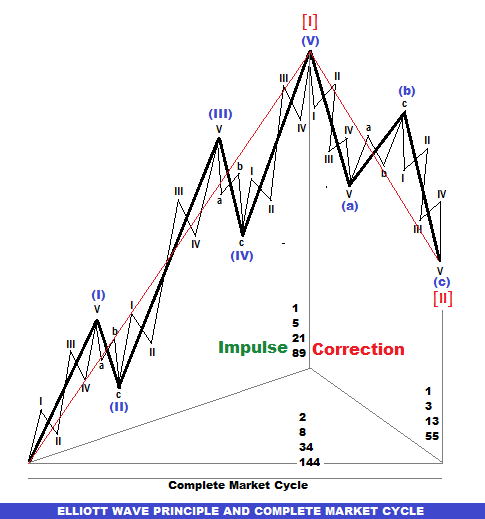 This is the very common behavior of wave development to form the complete market cycle. The above image explains this complexity. It will be more easy to understand, if we are introduced with the degrees of waves and their leveling. Degrees of waves refers to the size of the waves. In case of stock market, all degrees of waves are easy to level, specially, because of the availability of historical data. In case of more volatile market e.g. currency market, all degrees of waves are hard to find. In case of volatile market, the chart of different time frames can be used to find the degrees of waves. It is not necessary to find the waves of all degrees to make a successful wave analysis. We can consider the weekly or daily chart to find the largest degrees of waves in extremely volatile market. In the above illustration, we can see that the waves of minuette degree can lie within the waves of minute degree. This way the waves of smaller degrees lie within the waves of larger degrees, and the complete market cycle is formed. 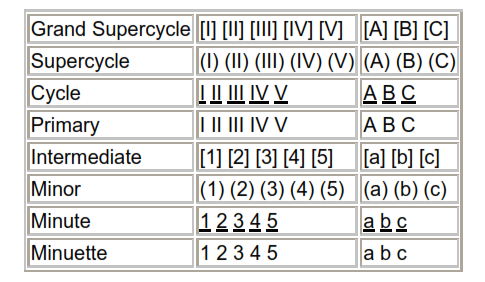 These are the very basics of Elliott Wave Theory. In my next post, I will come with details of trading with Elliott Wave Theory. If you want to join the discussion with other traders, you can drop a comment below. You can also subscribe This Guide to receive updates right into your inbox.